The Muslim Women’s Court in Mumbai was formally inaugurated in July 2013. 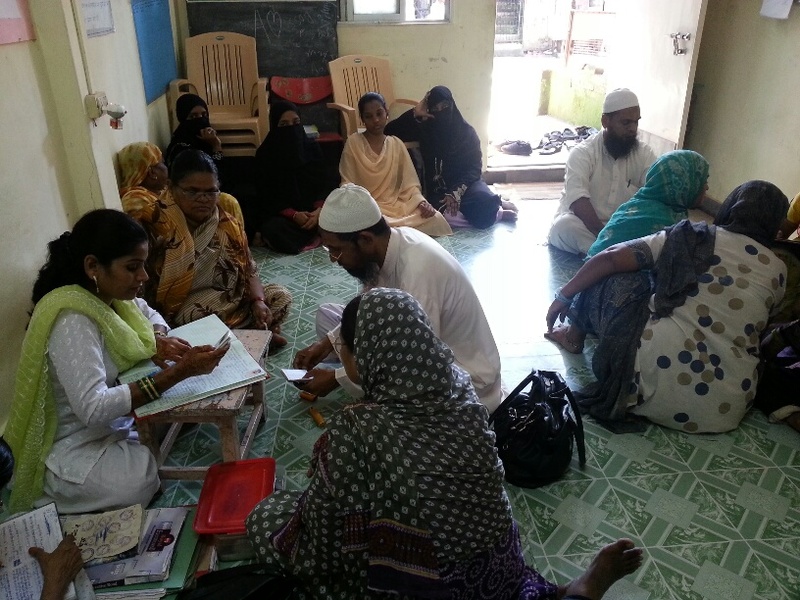 In the last two months the Shariah Adalat in Mumbai has received 21 cases of women facing legal problems. The Adalat team in Mumbai comprises of Ms. Khatoon Shaikh, Ms, Razia Rehman, Ms. Mumtaz Saifuddin, Ms. Qamrunnisa, Ms. Shahjahan and Ms. Salma Shaikh. The members have undergone training on quranic injunctions which protect and promote rights of women. They take the help of the local qazi and even sometimes lawyers to help women get justice. Ms. Khatoon Shaikh says the main aim of BMMA’s Shariah Adalat is to provide justice to the poorest of the poor Muslim women. To help her get justice the Adalat works in collaboration with qazis, muftis, lawyers, police etc. No women should be deprived of justice just because the systems and laws are faulty.